Lone worker protection is a major issue for employers. Under the Health and Safety at Work Act 1974 and the Corporate Manslaughter and Corporate Homicide Act 2007 employers have a legal duty to protect their employees. At Farsight we often get asked: Do I need a lone worker protection system? Do your employees ever attend sites alone? If they do, they must always be provided with a lone worker protection device or system. Do your employees work at large sites, where they may be too far away to be seen and heard at all times by someone else? This is a common situation for maintenance and construction teams. Occasionally employees may be ‘out-of-reach’ – in such instances they are classified as lone workers. Do your employees travel alone, to and from sites for meetings? If your employees travel during working hours via public transport then it remains your responsibility, as the employer, to ensure they are safe whilst travelling. A lone worker protection device is a solution. Will individual employees be working early or late by themselves? If your employees work different hours to their colleagues then it is important that they are provided with lone worker protection. Are your employees mobile workers? When employees are not at a fixed location, but instead travel around alone, there will be a unique set of lone worker risks facing them. At all times, employees who work alone should never be at any more risk than those who work with others. Always refer to the Health and Safety Executive’s guidelines on lone worker protection. What is lone worker protection and how does it work? Lone worker protection is a system put into place by an employer to protect their employees when they work alone. You can provide a safe working environment by installing panic alarms, remotely monitored by Farsight. This provides a cost effective solution to ensuring safety and security at all times for all staff. Here at Farsight we will equip your staff members with a GPRS and GPS enabled device with SOS functions. When the person needs assistance they press the SOS button, which sends us (at the Farsight remote monitoring station) an alarm with map coordinates of the worker’s last recorded GPS position. The device also phones us so we can initiate two-way communication. Our security operators can simply listen to what is happening (keeping the presence of a lone worker protection device a secret) or speak directly with the worker. We will then dispatch emergency services to the map coordinates. The device also includes features such as a man down alarm, which asks the user to signal their presence and wellbeing on a regular basis. If the user does not acknowledge the device in a given time period, the remote monitoring station is alerted to the inactivity. You can find out more about how lone worker protection devices work here: How does lone worker protection really work? To find out how lone worker protection services could improve your security, your business efficiency and the safety of your employees phone us on 0845 371 0101. 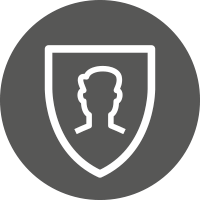 Get in touch with us today to find out how Farsight Security Services could help you protect your lone workers. Phone us on 0845 371 0101 or send us an email.